This was an App I designed for one of my classes. 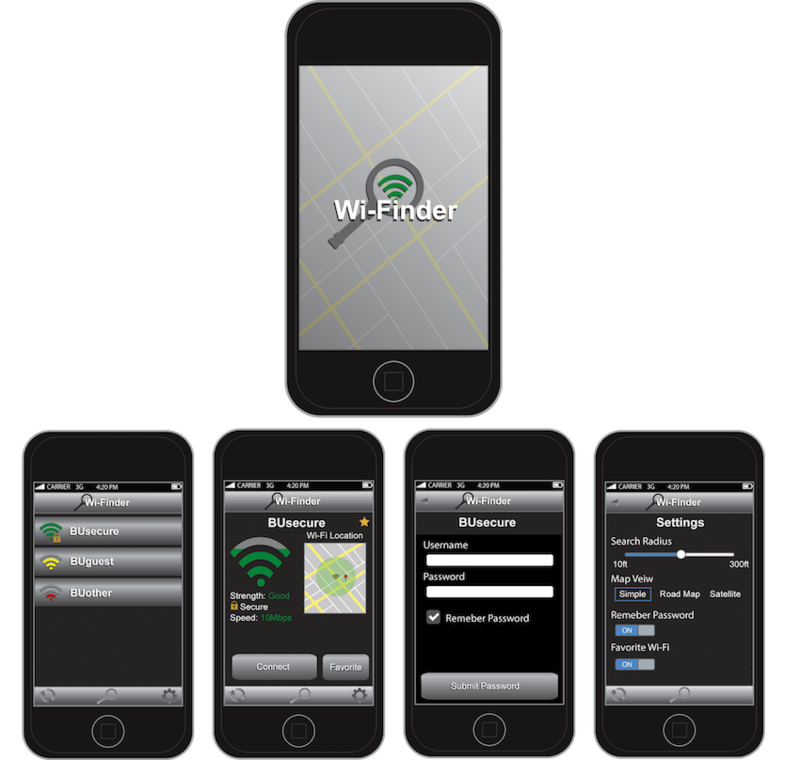 The idea of the application was to have an app that gave you locations and data on Wi-Fi signals in the area. This idea came up from my constant frustration of having to deal with bad Wi-Fi or no Wi-Fi in an area and not being able to find more information about where a signal was or how good the Wi-Fi was. 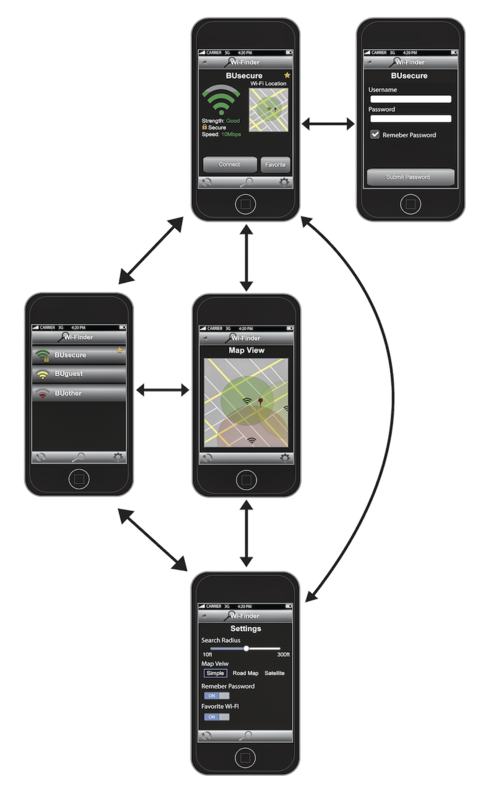 I wanted to show this to demonstrate my design skills applied to app design as well as my ability to create design prototypes. I also included the app flowchart below to show how the menus would lead into each other.